Gopal Krishna Gokhale was one of the pioneers of the Indian Independence Movement. Gokhale was a senior leader of the Indian National Congress. He was one of the most learned men in the country, a leader of social and political reformists and one of the earliest and founding leaders of the Indian Independence Movement. Being one of the first generations of Indians to receive college education, Gokhale was respected widely in the Indian intellectual community. Gopal Krishna Gokhale was born in Kothluk in Ratnagiri District, Maharastra. His parents, Krishna Rao and Valubai. Gokhale received his early education at Rajaram High School in Kothapur and later, in 1884 moved to Bombay to receive higher education. Gokhale was reportedly, one of the first Indians to complete graduation. In 1884, after the completion of his graduation in arts at the Elphinstone College, Bombay, Gokhale joined as professor of history and political economy at the Fergusson College, Poona. He remained on the staff, finally as principal, until 1902. Becoming actively identified with the National Congress movement, he was for some years the joint secretary and in 1905 president at the Benares session. The higher education made Gokhale understand the importance of liberty, democracy and parliamentary system of the government. In 1985-86, Gopal Krishna Gokhale met a great scholar and a social reformer Mahadev Govind Ranade. Ranade was a great leader, judge, scholar and above all social reformer. He regarded Mahadev Govinda Ranade as his "Guru". Ranade helped Gokhale in establishing the "Servants of India Society" in 1905. The main objective of this society was to train Indians to raise their voices and serve their country. Gokhale also worked with Ranade in a quarterly Journal, called "Sarvajanik". The Journal wrote about the public questions of the day in frank and fearless manner. Gokhale was the secretary of the "Reception Committee" of the 1895 Poona session of Indian National Congress. From this session, Gokhale became a prominent face of the Indian National Congress. For a while Gokhale was a member of the Bombay Legislative Council where he spoke strongly against the then Government. Gokhale dedicated his life to the advancement of the nation's welfare. In 1905, Gokhale was sent by the Congress on a special mission to England to spread India's constitutional demands among the British leaders. Gokhale was instrumental in the formation of the Minto-Morley Reforms of 1909, which was tabled and eventually transformed into law. But unfortunately, the Reforms Act became law in 1909 and it was disappointing to see that despite Gokhale's efforts, the people were not given a proper democratic system. However, Gokhale's efforts were clearly not in vain. Indians now had access to seats of the highest authority within the government, and their voices were more audible in matters of public interest. Gokhale, during his visit to South Africa in 1912, met Mohandas Karamchand Gandhi, popularly known as Mahatma Gandhi. Gokhale made him aware of the issues confronting common people back in India. In his autobiography, Gandhi calls Gokhale his "mentor and guide". Not only Gandhi, Gokhale also guide Muhammad Ali Jinnah, the founder of Pakistan. Jinnah later aspired to become the "Muslim Gokhale". 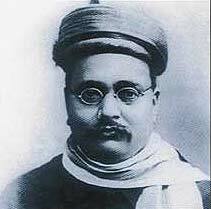 The years of hard work and devotion of Gopal Krishna Gokhale did immense contribution for the country. But, unfortunately, excessive exertion and the resulting exhaustion only aggravated his diabetes and cardiac asthma. The end came peacefully, on February 19, 1915, the great leader passed away.